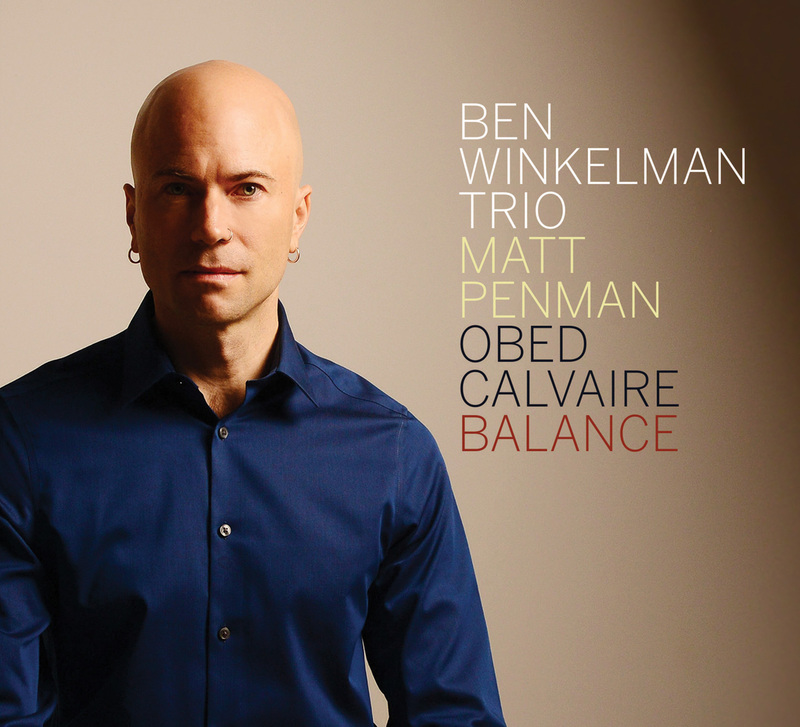 Melbourne-raised, New York City-based award-winning pianist-composer Ben Winkelman released his new album, Balance, on March 15 via OA2 Records. The new record is a collection of nine Winkelman original compositions plus a reworking of “Bye-Ya” by piano legend Thelonious Monk. It also finds him playing alongside drummer Obed Calvaire and bassist Matt Penman and taking a fresh approach to the piano trio format with an emphasis on the ensemble. On Balance, Winkelman also revisits many of his diverse musical interests, including Afro-Cuban, gospel and classical music, with a focus on Latin rhythms in odd meters and through a jazz perspective. Winkleman spoke with JAZZIZ about Balance, the origins of his interests in Latin music, the significance of recording and releasing this album and more. Below is an excerpt of our conversation, which has been edited for length and clarity. JAZZIZ: How does the word “balance” represent the vision of the music on this album? BEN WINKELMAN: Balance is a term that comes up in my mind when I think about my trio project and the way I write. Even before I was looking for a title for this album, I felt like a lot of my compositions end up being pretty dense. So, one of the balances I’m always looking for is, how can I put the details that I want into these compositions so that my personality comes through but so that it’s still open enough that we can make something out of it when the three of us come to play as improvisers. Another balance I think about finding the ideal point between playing with ideas and emotional expression. Why did you return to the trio format for this album? In one sense, Balance is just a continuation of themes I’d already been playing with before. In one way, it’s a different record in that I made it with people I didn’t know so well, which is something I’ve never done before. Previously, I’d always tried to cultivate relationships with people and get to know them by playing with them a lot. This time, I kind of went in almost cold with people I knew of and admired, who are stars of the New York jazz scene, but I hadn’t played with them, even though I’d played with Obed a couple of times. So, it was different to me, but I felt that Obed and Matt would be really good for this material and I love what they did with it. They were pretty amazing to work with. On Balance, you’re playing with odd meter claves. Yes, that’s one of the important themes that I’d been working on previously, Latin rhythms in odd meters. That’s something which somehow became an idea I got fascinated with and I’m still interested in playing with. I don’t really know where that started, I guess it might have been when I first started playing gigs and I played a lot in salsa bands. So, I became interested in Latin music and there was a drummer when I lived in Australia who I started playing with who was interested in the music of Danilo Perez and Miguel Zenon and the progressive New York Latin jazz people. So, when I started to check them out, I learned about odd meter claves and started trying to write ideas based around that. That’s something that I still enjoy playing with a lot and I guess it’s also something that develops a bit further with each new album I make. Do you think the fact that you started playing music as a drummer influences the way you play the piano or your interest in odd rhythms? I’ve always been pretty rhythm focused and maybe that’s got something to do with me starting out on drums. Sometimes I feel like maybe that’s the instrument I should have kept playing but I ended up taking the piano further. I guess also having spent so much time playing in salsa bands is another connection because the piano functions a little bit like one of the drums in a salsa ensemble. Speaking of influences, one of the tracks on this album is a cover of Thelonious Monk’s “Bye-Ya.” Would you consider Monk an influence of yours? You briefly mentioned your appreciation for the New York music scene. Do you think New York and its scene have an impact on your music? I’d say so. I suppose I always knew this but the more I started think about this, the more I realized that there is something very special about the New York jazz environment. People play at a very high level here; they’re used to dealing with very complex music and making it sound simple. A lot of these compositions from this album and also from my other records, I could say they are at least in part inspired by what it’s like to live here. I don’t know if inspired is the right words, but they’re certainly a reaction to what it’s like to live here, ‘cause some things about it are great but not everything is. It’s such a mixed bag, but it’s certainly an interesting place. Why do some of the tracks on Balance refer to Galicia? My girlfriend is from Galicia so I’ve been making trips there over the past year and It’s really a beautiful part of the world. There are a few references in the tune titles from this lot but I guess there isn’t really a literal connection between the music and the place. It’s more to do with the feeling of being there, I suppose. Why do you feel it was important for you to release the music on Balance as an album? I guess because I grew up with the idea that an album is a way you document your music, and that in a way you’d be kind of signing off on a musical period in your life by releasing it and then you can move onto new ideas. For me it’s sort of an ingrained part of my thinking that this is the best way to do it. I still think it’s the best way to put music out there and advance the life of a project, even though I suppose it’s not going to be the default format anymore. And it’s a good question. Is making an album still the best way to do it when you could be releasing videos or singles or just releasing music in non-album ways? I don’t really have an answer to that. To my thinking, there’s still a lot of value in releasing albums and touring. I expect that’s going to change at some point but I think for now that’s still one of the best ways of doing it. Do you find that an unsettling aspect of being a musician? Absolutely. Being a musician is a difficult situation. I can’t compare it to others ‘cause it’s the only one I’ve ever really had. But sure, there are plenty of unsettling parts to being a musician. It’s not really a job, it’s more like you piece it together yourself as best you can from a bunch of freelance gigs, I guess. I’ve often heard the expression from older musicians that anyone who can give up music should, but I guess I’m one of the ones who can’t. I guess there’s no other reason to do it besides the fact that you love it and enjoy it and for me, it’s still one of my favorite things to do, and I expect it’s something I’m always going to do. CONCERT ANNOUNCEMENT: Jazz, Blues and Folk: Fred Taylor Scholarship Concert f/ Grace Kelly, Livingston Taylor, James Montgomery on June 19th!